It is a standard trope of contemporary Islamic political theory that “the people is the source of all political authority” (al-shaʿb maṣdar al-suluṭāt). This has become such a commonplace in modern Islamist discourse than even Salafi parties that contest elections include this in their manifestos. But how did this commitment come to be so universal within a political theology that up until the early 20th century tended to ascribe political authority to a kind of condominium between executives, elites and scholars, and throughout the 20th century stressed the obligation to uphold God’s sovereignty? What is the scope and extent of popular sovereignty in contemporary Islamic political theory. March’s lecture will outline the argument of his forthcoming book manuscript, The Caliphate of Man: The Invention of Popular Sovereignty in Modern Islamic Thought, which traces the discourse on sovereignty from the mid-19th century reform movement to the present. Andrew F. March is a Berggruen Fellow at the Edmond J. Safra Center for Ethics and a Law and Social Change Fellow at the Islamic Legal Studies Program, at Harvard University. Prior to that, he taught for ten years in the Political Science Department at Yale University, and has taught Islamic Law at Yale and NYU law schools. 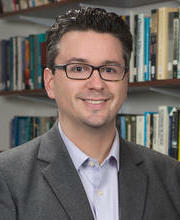 His research and teaching interests are in the areas of political philosophy, Islamic law and political thought, religion, and political theory. He is a graduate of the University of Pennsylvania and the University of Oxford, where he studied as a Marshall Scholar. His book, Islam and Liberal Citizenship (Oxford University Press, 2009), is an exploration of the Islamic juridical discourse on the rights, loyalties, and obligations of Muslim minorities in liberal polities, and won the 2009 Award for Excellence in the Study of Religion from the American Academy of Religion. He has published articles on religion, liberalism, and Islamic law in, amongst other publications, the American Political Science Review, Philosophy & Public Affairs, Journal of Political Philosophy, European Journal of International Law, and Islamic Law and Society. He is presently completing his book manuscript on the problem of divine and popular sovereignty in modern Islamic thought, titled The Caliphate of Man.